Love skirts? 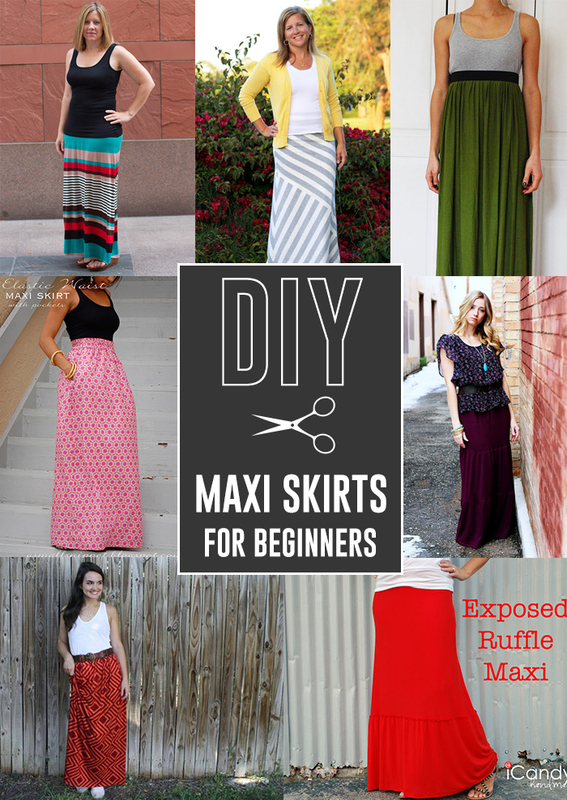 Whether you’re new to sewing or an old pro, skirts are fun to sew. I don’t wear skirts a lot but I still love sewing them. 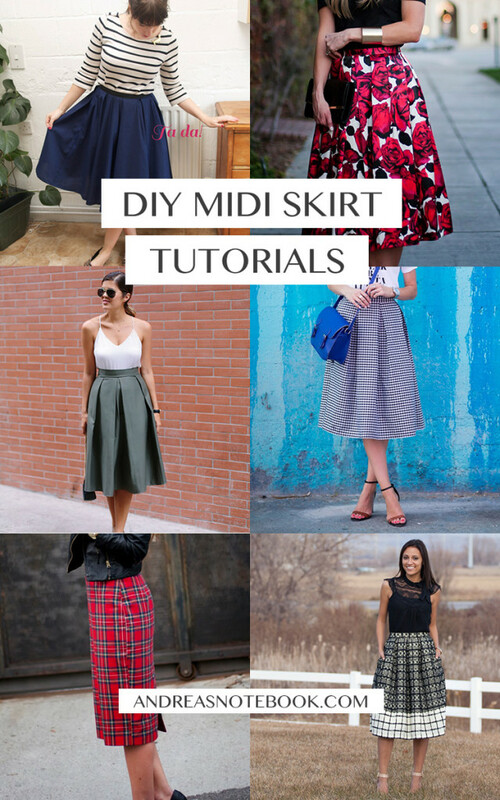 I spent the afternoon searching for new skirt sewing tutorials and found some fun, new-to-me tutorials. There is a style for everyone here. All of these are free patterns or free tutorials. Just grab your sewing machine, some fabric and get sewing! 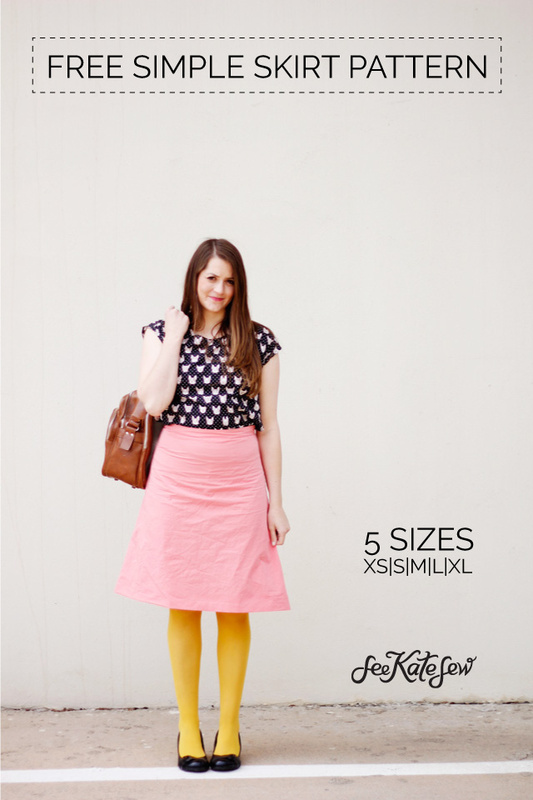 Flirty Skirt Tutorial : Andrea’s Notebook // This skirt is great for all body types. 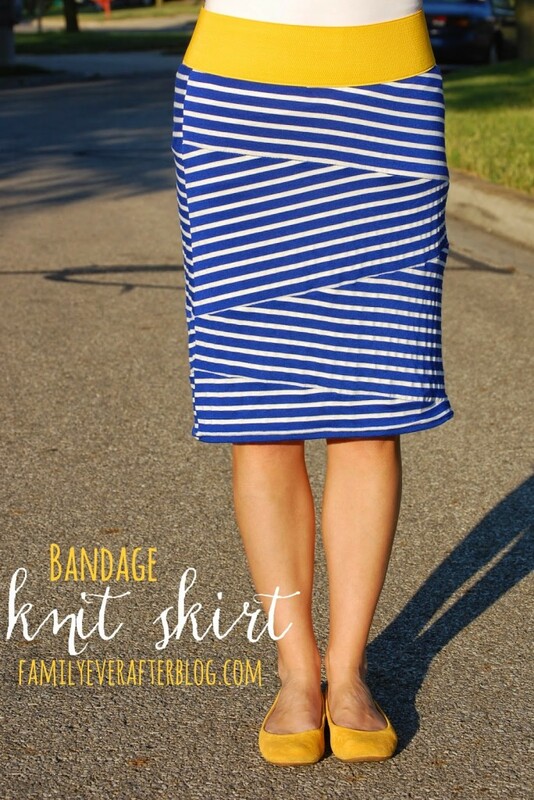 With fun pleats and an elastic waistband this is easy to sew and fun to wear! Knit Maxi Skirt : Andrea’s Notebook // This is still one of my favorite styles of skirts to make! 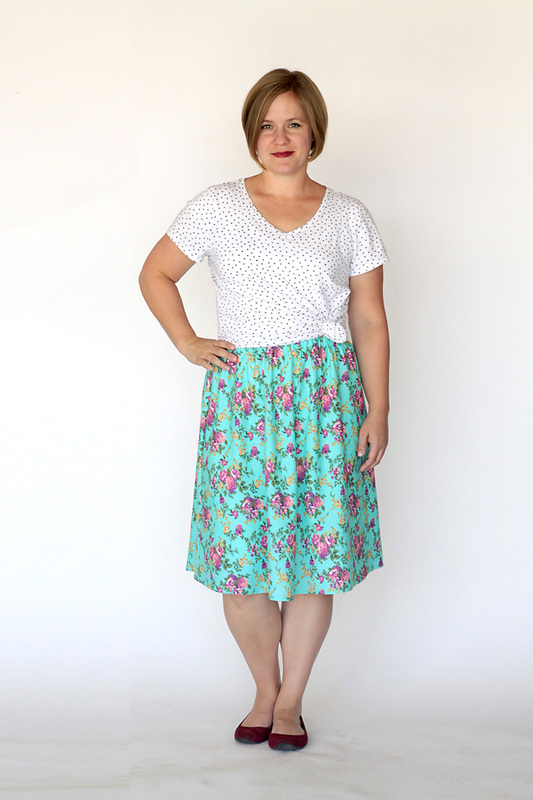 Simple Women’s Skirt : Merrick’s Art // This super simple skirt is perfect for beginners. It doesn’t have a lot of shape to it but it’s easy to sew! Bow Front Pencil Skirt : Say Yes Blog // Looking for something unique? this is it! 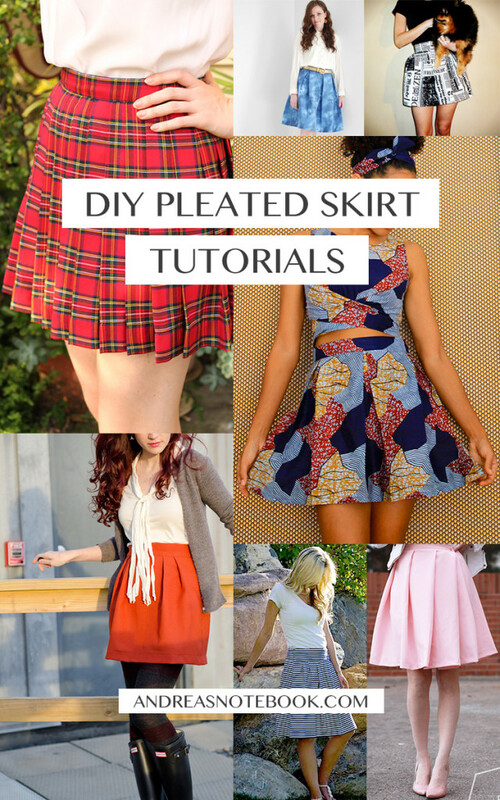 DIY Gathered Skirt : By Hand London // This is just cute, cute, cute. I love the gathers and the waistband. It is definitely flattering and fun. Kate Spade Inspired Skirt : Melissa Esplin // A classic pleated skirt. 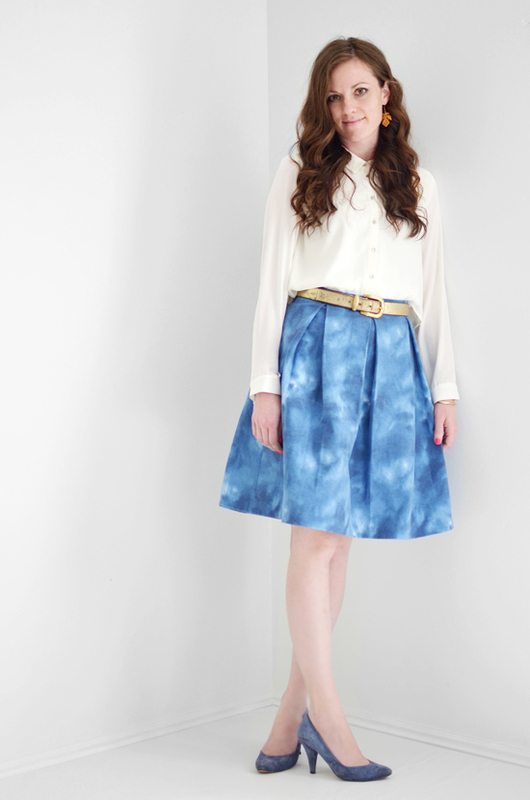 Tulle Skirt : Cotton & Curls // Great for special occasions. DIY Lace Mini Skirt : A Pair And A Spare // Love mini skirts? Try this lace overlay style. Pinwheel Skirt : Elle Apparel // If you’re looking for something unique take a look at this one. 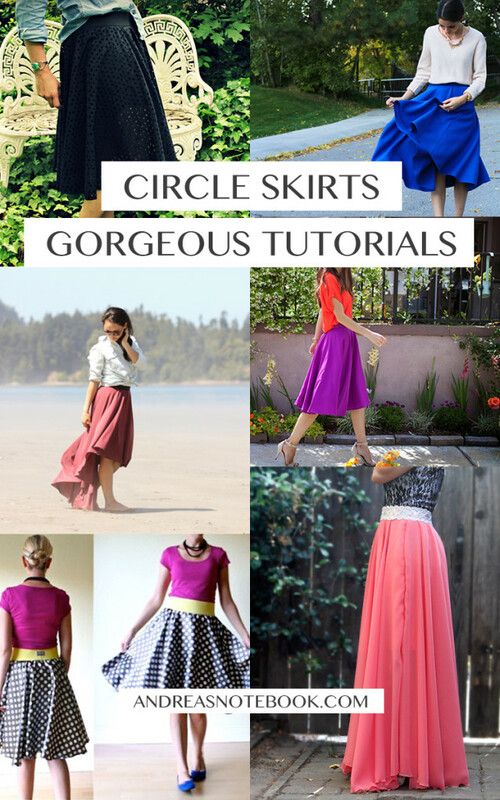 Circle Skirt Tutorial: Merrick’s Art // Circle skirts are classy and classic. Ice Cream Social Skirt : iCandy Handmade // Fun skirt for knit striped fabric. Knife Pleat Skirt : Carbon Chic // A classic knife pleat skirt is essential in a wardrobe. Everyday Elastic Waist Skirt : It’s Always Autumn // Another basic skirt that is easy to sew and wear. Sheer Gathered High Low Skirt Tutorial : Pretty Prudent // The drape on this skirt is so flattering and gorgeous. Pleated Midi Skirt With Pockets : The Sewing Rabbit // Stand out in a crowd with this stunner. 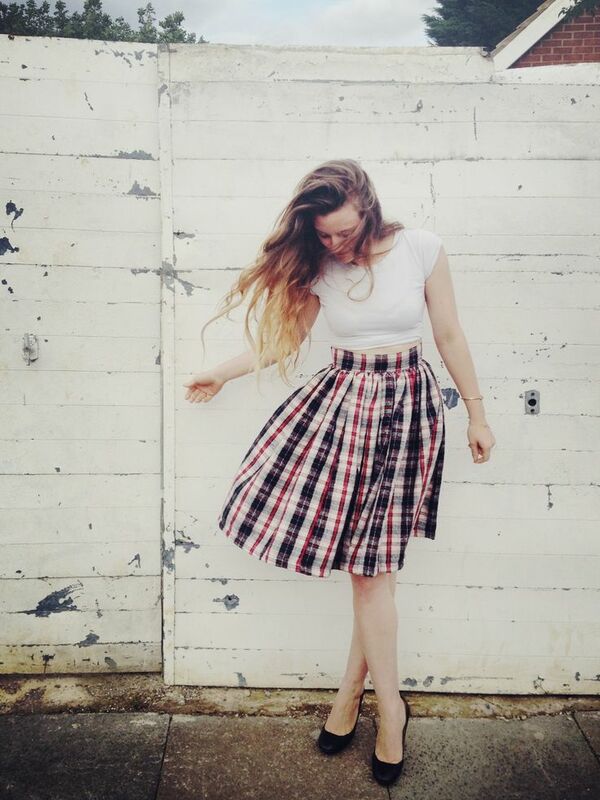 Fishtail Circle Skirt : Delia Creates // This is a fun take on a classic circle skirt. Drape Skirt With Pockets : Cotton and Curls // This is for all the pocket lovers! 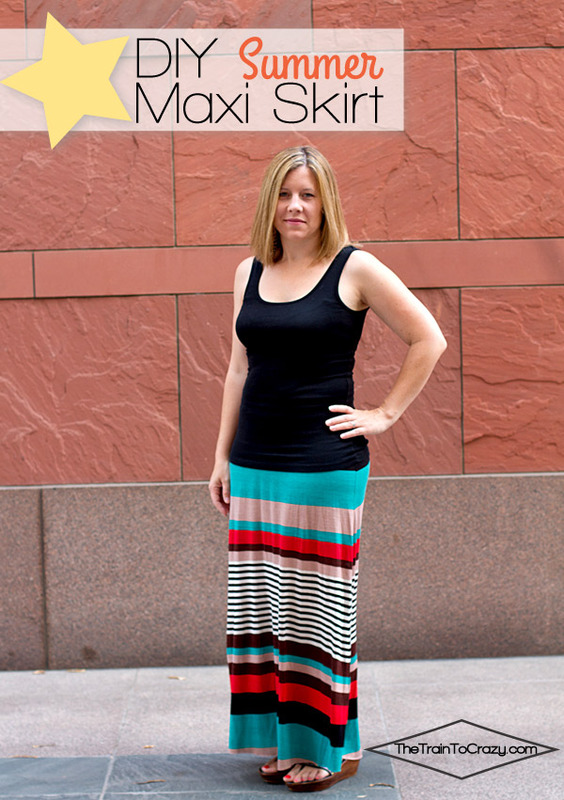 20 Minute Maxi Skirt : Rae Gun Ramblings // If you’ve never sewn a maxi skirt now is the time. Knit Pencil Skirt : Say Yes Blog // If you love a tight pencil skirt this is an easy one to sew. Free A-Line Skirt Pattern : See Kate Sew // This free pattern is the perfect skirt for work or date night. Click the image below to see the tutorials. It looks awesome! I really liked your post, thanks for sharing this helpful information. All the best keep writing! What a great collection. I especially love the pinwheel skirt! Thanks for sharing. 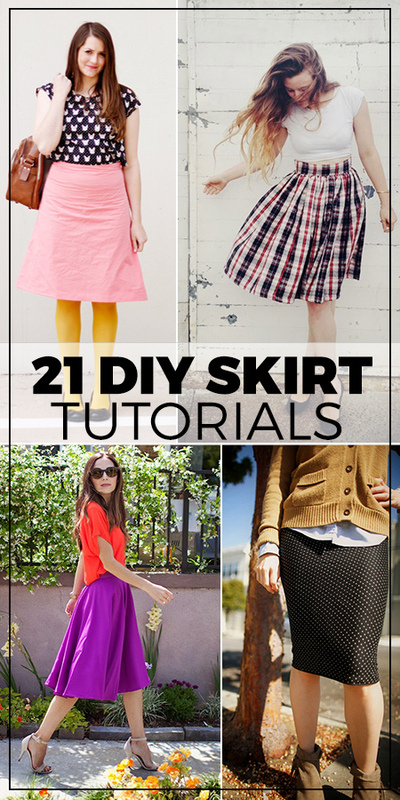 Thank you for sharing these skirt tutorials! It’s so great to see them here! I will definitely try them all! The legs are beautiful and eye-catching. with many beautiful designs. I like so much. Thanks for sharing.